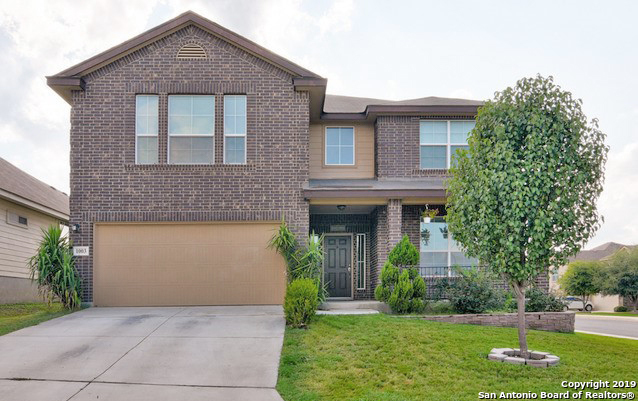 All AMHURST homes currently listed for sale in San Antonio as of 04/26/2019 are shown below. You can change the search criteria at any time by pressing the 'Change Search' button below. "5 BEDROOMS! Wow CORNER LOT in Amhurst III Premier DR Horton Home. Yes! 2 Living Areas! Master and three bedrooms up with Game Room! Secondary bedroom with full bath on 1st Floor. Study Office or Formal Dining. Open Concept Family/Kitchen don't miss a thing! Kitchen has Breakfast Bar & Tall Cabinetry, Granite and Stainless Appliances. Tons of counter space! Over-sized walk-in pantry for a large Family. Covered patio, CORNER LOT! Don't miss this one! 5 BEDROOMS -All the room you need for "
"2 story , 2241 sq. 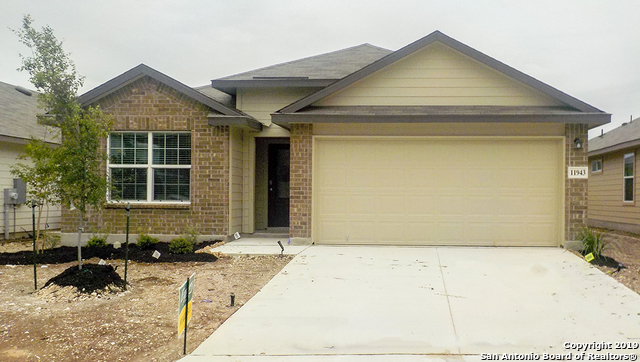 ft. 3 Bedrooms all upstairs, 2.5 baths, a Practical & open floor plan. Kitchen over looks living area with big breakfast bar Island separating the two areas. Granite counter tops in the Kitchen, Blinds, covered patio, ceramic tile downstairs and all wet areas. It also includes Stainless microwave, range & dishwasher." "**OPEN HOUSE, SATURDAY APRIL 27TH 11-3PM**This beautiful and well kept home, features two living rooms, granite kitchen counters, 4 spacious bedrooms, recreational room, HUGE backyard, adjacent to a cul-de-sac. With a pretty fast 15-20 min commute to Lackland AFB. Terrific neighborhood amenities, on site NISD elementary school opened just this school year! No CITY TAXES! Don't miss out!" "Great opportunity to live in sought after Amhurst. N.I.S.D. don't miss out on this great opportunity over 2600 sq.ft. Spacious open floor plan with Master down. Separate Garden tub & Shower. Lots of charm, some fresh paint ready for move in. Large game room upstairs for family gathering or media room. Lot has sprinkler system, and water softener. A must see to appreciate. *** Seller to offer $3000 carpet allowance." "Amhurst Subdivision - What a Great Place to Live! 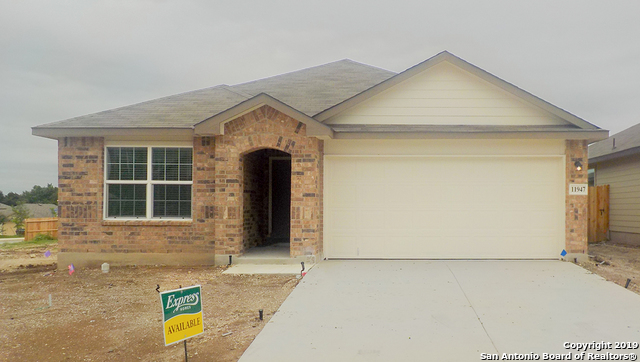 Check out this wonderful 3BR/2.5BA home with tile throughout the first floor. Additional living area upstairs, with two LARGE secondary bedrooms. Over sized Lot with plenty of space for entertaining. 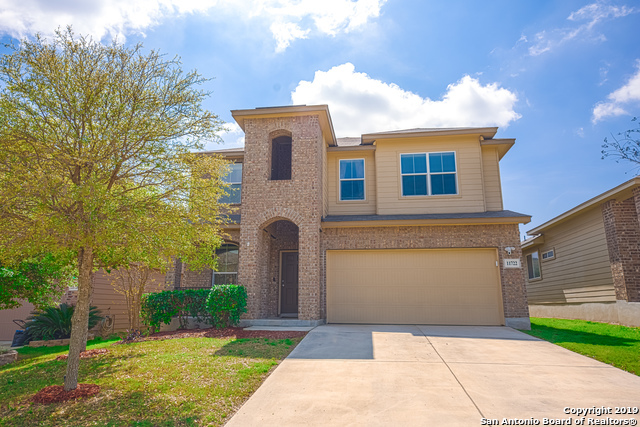 Easy commute to JBSA Lackland, Kelly or other major employers. Shopping and services continue to develop and the NEW Elementary School is Now Open!"